Includes Apple Oatmeal Breakfast Bars, Parmesan Artichoke Dip, Creamy Cauliflower Soup, Mushroom Pork Medallions, Almond Cranberry Biscotti ...and hundreds more! 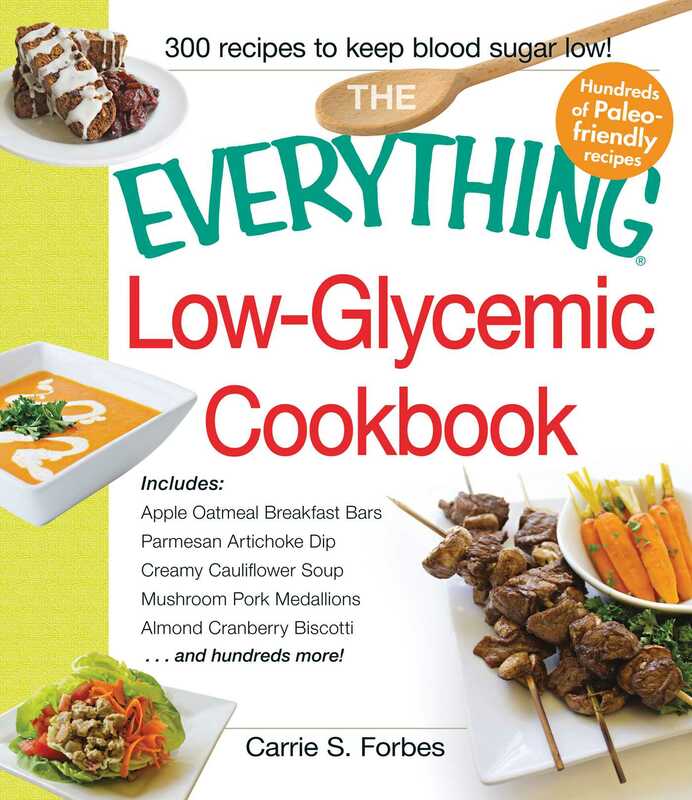 If you're tired of sugar-free this and low-carb that, constantly restricting your diet to lose weight and stay healthy, The Everything Low-Glycemic Cookbook is the perfect choice for you! According to experts, switching to a lowûglycemic index (GI) diet is the key to losing weight--and keeping it off. The GI diet isn't a low-fat diet; you won't find calorie counting or reduced portion sizes. In fact, following the low-GI diet just means eating more low-glycemic foods and avoiding others that have a high GI number. Armed with glycemic index values of common foods and hundreds of recipes for satisfying, delicious dishes, you'll have all you need to lose weight and eat well--every meal of the day!